December is one of our busiest months of the year. And the two weeks leading up to Christmas are usually our 3rd and 4th busiest weeks of the year. Every flower shop is different but for us May, February and December produce our busiest weeks. We love each and every holiday and occasion but for me, Christmas is my favorite for flower business and design. I think I love it most because of the smell of Christmas greens. If you searched for Christmas flowers Oregon for delivery or pick up, you have found an amazing flower shop. Judy’s Central Point Florist and Gifts is a full service flower shop that serves Southern Oregon with Christmas flowers and flowers for just about any occasion. 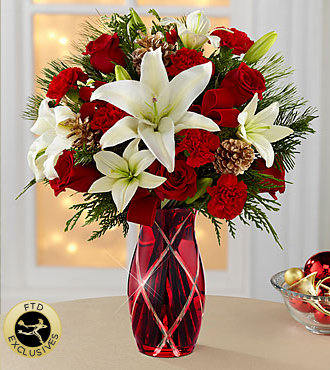 To order Christmas Flowers Oregon you can call us at 541-664-1787, come into our store at 337 E Pine St. Central Point, Oregon or order online at www.judysflorist.com. 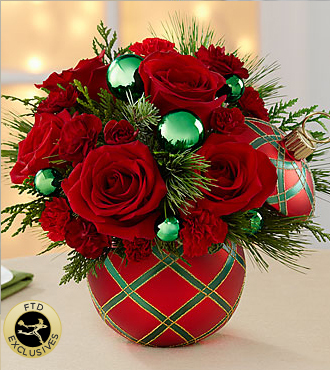 We offer many ideas for your Christmas and holiday flowers and gifts needs. From centerpieces to Poinsettias and beautiful holiday colors mixed colors with fresh scented Christmas greens to soft and cuddly plush animals (furry friends), we can take care of you. We will be offering Southern Oregon delivery right up until Christmas Eve. Pictured above are a few ideas for Christmas Flowers Oregon. 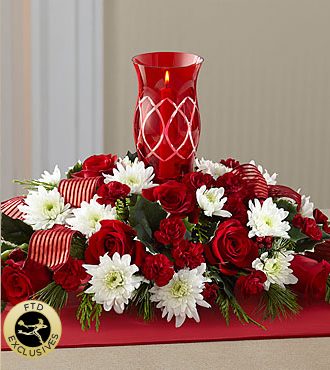 We can help with these designs but as we do each day, we offer custom design so that your flowers are just perfect. If you are ordering a Christmas centerpiece, think of colors, size of table, shape of your table and approximate height so that you will be able to converse across the table during dinner. So, for ideas or for Christmas Flowers Oregon please think of Judy’s Central Point Florist. We will take great care of your flower and gift needs. Our local delivery area includes, Medford Oregon, Central Point, Ashland Oregon, Gold Hill, Eagle Point, White City, Jacksonville Oregon and Phoenix Oregon. work? I’m completely new to writing a blog but I do write in my journal everyday. I’d like to start a blog so I caan easily share my personal experience and feelings online.